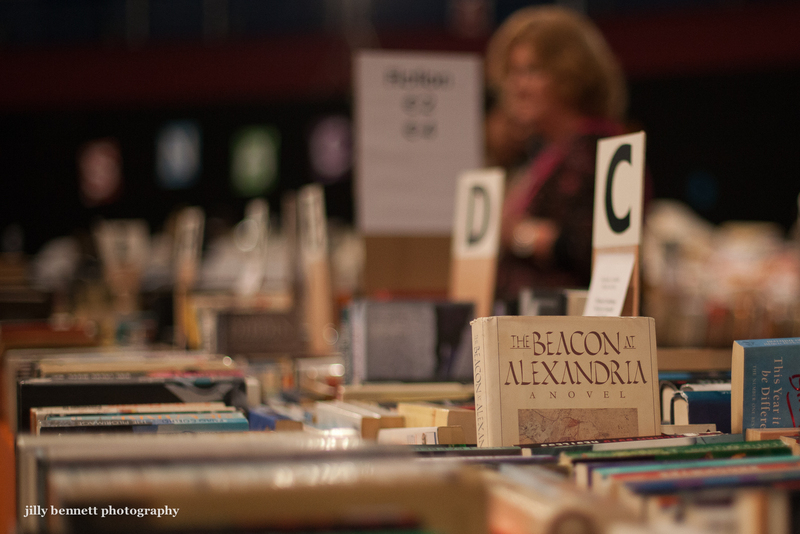 One of the most popular stands amongst the Brits is the bookstall. There are always thousands of books for sale at reasonable prices and all going to charity. 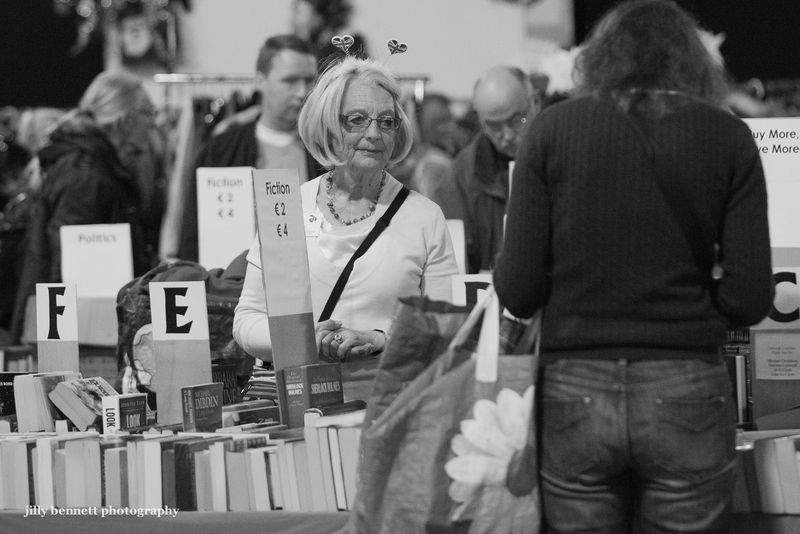 There's a French bookstall too, of course. And if you have volunteered your time to work at the stall, why not wear a pair of heart-shaped British flags on your head! Isn't she wonderful! 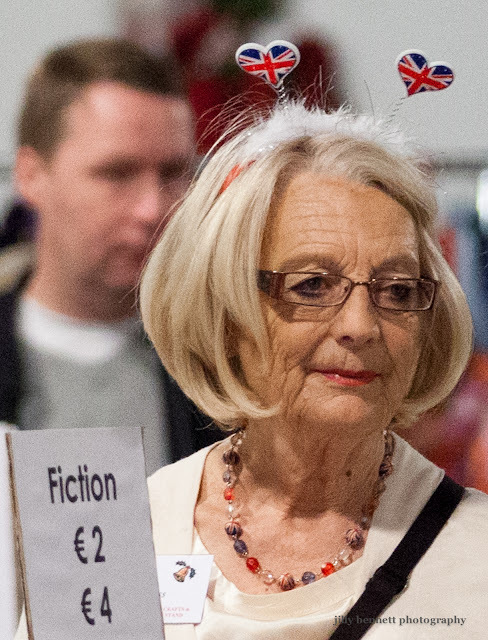 She does look a tad British. 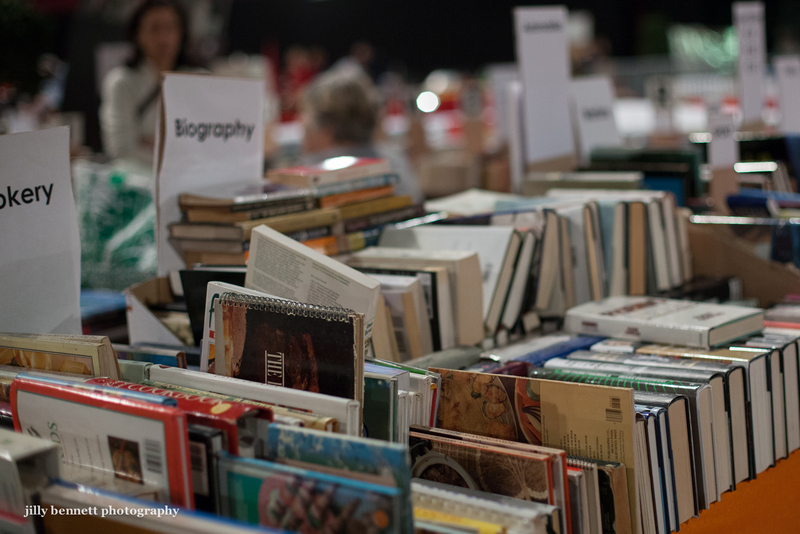 I could spend hours on the book stall,browsing through the titles and digging out any photography related ones. Next would be the record/video/DVD stall. So much music to listen to and so many films that I want to watch. I'll give her some fiction for 50 p.